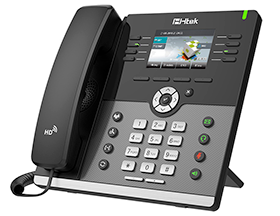 The UC924 is a 4 Line IP Phone solution from Htek offering stable voice functionality, along with many other features. It comes with a full color display and HD audio support. Here we will configure the UC924 through the web interface in order to register to Callcentric to allow you to place and receive calls. The information presented in this guide is based on Version 2.0.4.2.11 of the UC924 firmware. If you are running a different firmware version some of menu options and settings may be different. This guide assumes that your UC924 has a valid IP address and that you have administrative access to the web interface of the device. If you need assistance logging into the web interface for your UC924 Web Administration Pages, please refer to the UC924 User Manual. From the navigation bar at the top of this page, click on the Account link. 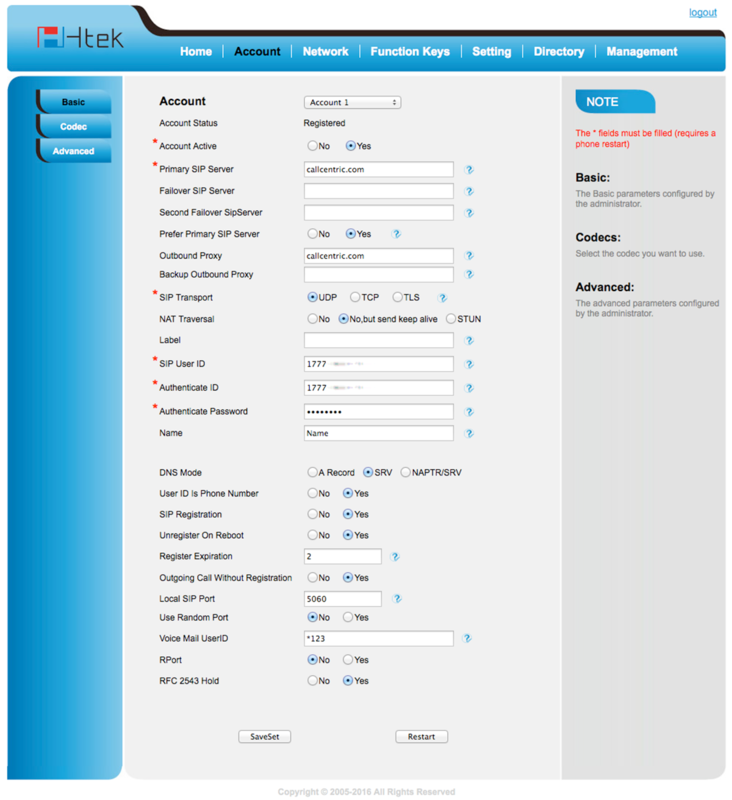 On this page, please be sure that the Account option is set to Account 1 on the drop down menu. Name You may enter any name on this field. 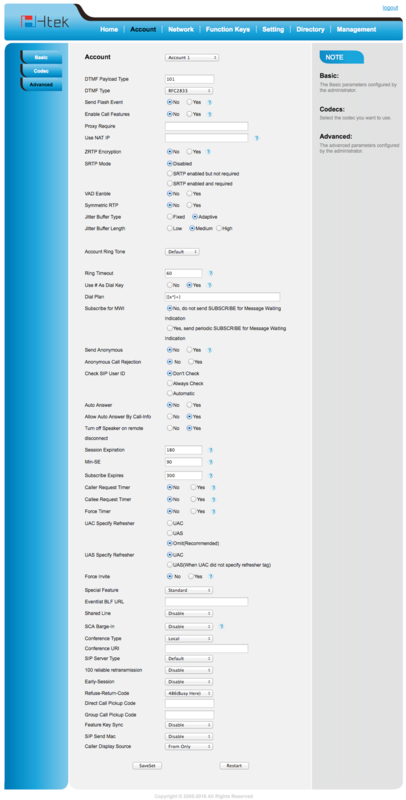 Once you have entered the settings detailed above, please click on the SaveSet button to apply your settings. From the navigation menu bar on located on the left side of the page, click on the Codec link. On this page, please be sure that you update the settings so that they match the screenshot below. Once done click on the SaveSet button to apply your settings. Once completed click on the SaveSet button to apply your settings. To ensure that your UC924 has successfully registered to our service click on the Home link on the top menu bar and locate the Account Status section. You should see that the Account that you've just defined is Registered. STEP 6 That's it! You can now make a phone call.